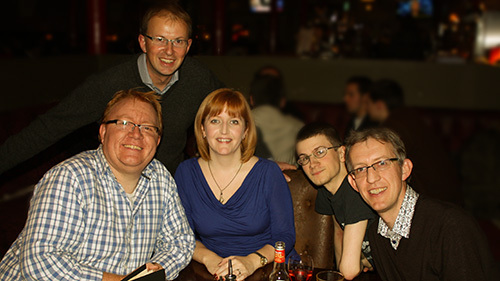 Here’s the team that flew the flag for Earshot in last night’s Radio Academy Christmas Quiz. We came fourth out of seventeen and were beaten only by, er, better teams. Left to right, we are Nik Goodman, Steve Martin, Helen Quigley, Jacob Rickard and James Stodd.